Who is Jan Braai? His real name is Jan Scannell and he lives to braai. He started the National Braai Day initiative in 2005 and his aim is to create a national celebration of the one activity all South Africans have in common, regardless of race, language, gender or wealth, cooking over a fire. He holds the world record for the longest braai. 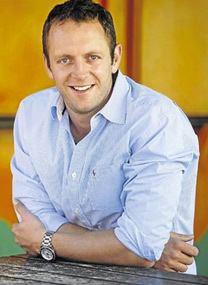 His TV series Jan Braai for Erfenis has run each year on Kyknet since 2011. For more about Jan Braai visit www.braai.com or follow him on Twitter, Facebook or Instagram.